Drinks and appetizers at 5:00pm, drawing to be held at 6:00pm. Come out to the 1st big social event of the year, and see everyone at PPCC! *NEW THIS YEAR* All losing ticket stubs are good for a free 18 hole round of golf for you AND a friend! 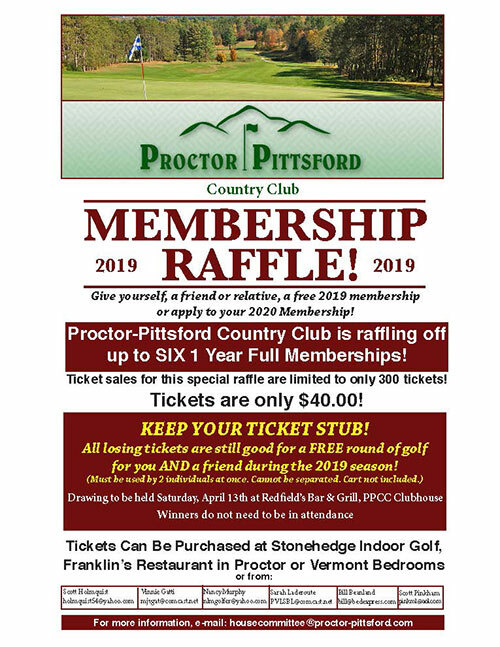 Winning tickets drawn by paid members can be used toward their 2019 membership dues. And, as always, all proceeds will help fund the continuing improvements at PPCC.